LE BOURGET, France — The European Space Agency on June 16 contracted with satellite fleet operator Intelsat to co-invest in a European satellite ground technology provider to build hardware for Intelsat’s upcoming high-throughput Epic satellites. 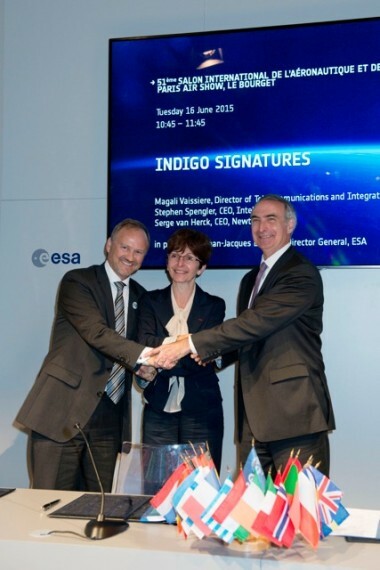 The three-year contract for what ESA calls its Indigo project is the latest in a series of partnerships with industry and breaks new ground for ESA in at least two ways: It is the first with a non-European satellite operator, and the first that focuses exclusively on ground station technology with no new satellite development as part of the package. Under the agreement, ESA and Intelsat will each commit 12.7 million euros ($14.5 million) to enable satellite ground hardware provider Newtec of Belgium to upgrade its existing Dialog product to facilitate high-throughput connections to customers using Intelsat’s Epic satellites, which are scheduled to enter service starting in 2016. Intelsat’s legal headquarters are in tax-friendly Luxembourg, but the company is for most other intents and purposes a U.S. entity now located in McLean, Virginia. Magali Vaissiere, head of ESA’s telecommunications and integrated applications directorate, said the agency considered Intelsat non-European and that its Luxembourg connection had nothing to do with the Indigo contract. 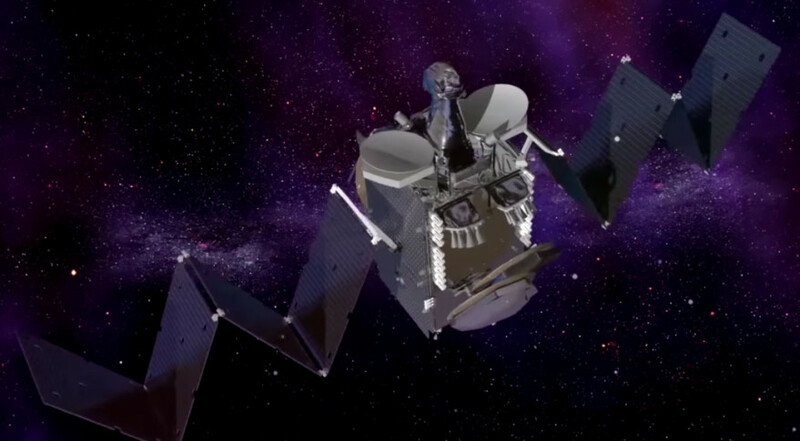 Intelsat Chief Executive Stephen Spengler said his company has worked with Newtec many times in the past, but that the Indigo work represented at technological leap that neither Intelsat nor Newtec was comfortable taking on its own. Spengler said the Indigo-financed Newtec equipment includes hardware such as hubs and modems as well as software, and would be delivered in time for customers to adopt for the Epic program, whose first series of satellites will use Ku-band and multiple spot beams to reuse frequency and deliver sharply higher throughput than is possible with Intelsat’s wide-beam Ku-band satellites. Newtec Chief Executive Serge Van Herck said there is no explicit exclusivity tied to the Indigo program. He said the contract with Intelsat does not spell out a specific quantity of Newtec Dialog equipment. That would be determined once the development is completed, he added. Vaissiere said Indigo has been financed mainly by the Belgian and British governments, who made their commitments last December at a meeting of ESA governments in Luxembourg. British industry is likely to be involved in Indigo’s second phase, she said.